Spirituality has come a long way since the 1970s, when lots of parents worried that Zen Buddhism was a cult. 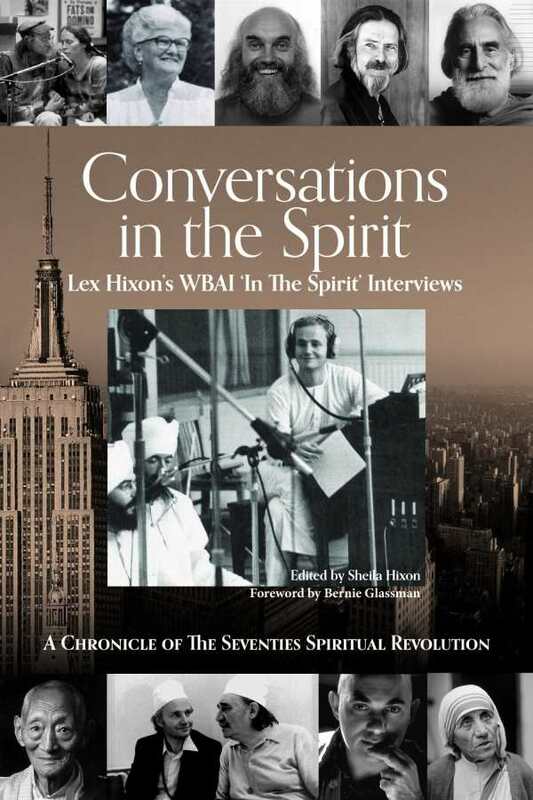 Lex Hixon, who for seventeen years hosted WBAI 99.5 FM’s Sunday morning radio show, “In the Spirit,” in New York City, contributed much to the nation’s understanding of the changes taking place in its spiritual culture. His interviews with spiritual teachers who were bringing what were then strange new ideas and religions from the East to America provided much-needed explanations, addressed the all-too-common misunderstandings, and gave listeners the opportunity to get answers to their questions and put some of their fears to rest. Deeply spiritual, educated in many spiritual traditions, and immersed in all that was new and alive in ’70s culture, Hixon had hoped to open, with Bernie Glassman, an interfaith center, the House of One People, and serve as its spiritual director; his death from cancer forestalled these plans. Conversations in the Spirit features interviews with spiritual giants, including Alan Watts, Reb Zalman Schacter-Shalomi, Mother Teresa, Ram Dass, Swami Muktananda, Sheikh Muzaffer Effendi, Bernie Glassman, Huston Smith, J. Krishnamurti, Father Daniel Berrigan, Allen Ginsberg, and many others. It offers a profound and intimate experience of the evolution of religious thought and spiritual growth in America, and a look at how media programming has the potential to serve as an instrument of grace in troubled times.